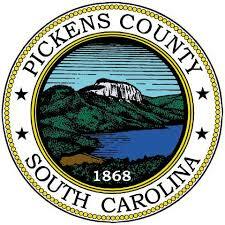 The 124 East Pickens Voting Precinct has been permanently moved due to planned extensive renovations from The Mill Church (158 Woodrow St, Pickens, SC 29671) to the Conference Room inside the City of Pickens Maintenance Building (133 Railroad St, Pickens, SC 29671) for all future elections. The 119 Pumpkintown Voting Precinct has been temporarily moved due to renovations from the Oolenoy Baptist Church Fellowship Building (200 Miracle Hill Rd, Pickens SC 29671) to the Ooolenoy Community Center (5301 Dacusville Hwy, Pickens SC 29671) for the June 12, 2018 Primaries and any subsequent runoff election. The precinct will return to the Oolenoy Baptist Church for the November 2018 General Election. All voters in the affected precincts will be mailed new Voter Registration cards notifying them of the move beginning next week.